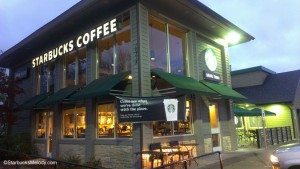 The Lakewood Community Starbucks is located very close to Joint Base Lewis – McChord, an area with a significant military presence. 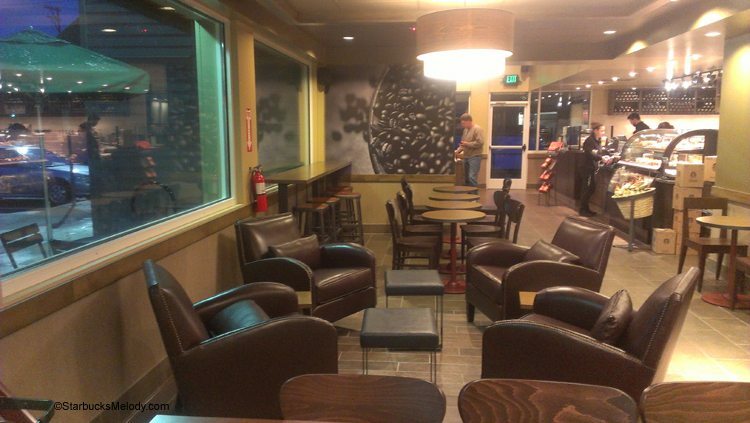 That store has just had a major remodel, and it’s a beautiful, large store with lots of seating. I dropped by early this morning (November 10, 2013) and took a few photos. Look how cute this store is! This store is located at 10314 South Tacoma Way, Lakewood, Washington, 98499. 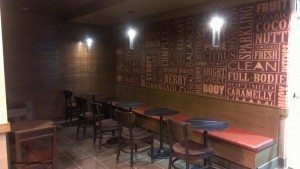 The phone number is (253 – 984 – 0898) One of my favorite little things about this store was this far corner of seating – it has a wall designed with words to describe how a coffee tastes! 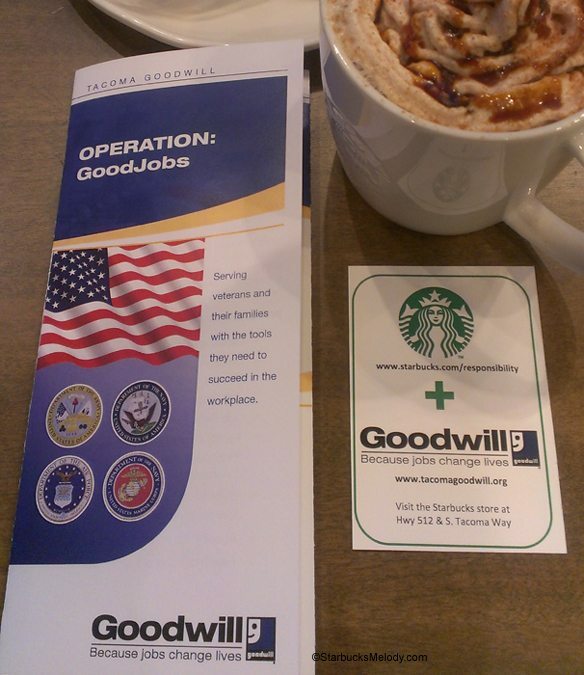 Out of the 50 planned Community Stores, five of them are intended to focus on non-profits benefiting U.S. veterans. There is currently also a Community Starbucks located in San Antonio, Texas, which donates a portion of its proceeds to the non-profit Vested in Vets. The San Antonio store is at 8227 State Highway 151, Westover Marketplace, San Antonio, Texas, 78245. As many know, San Antonio is home to a number of military installations, including Lackland AFB, which all new Air Force recruits pass through for their basic training (“boot camp”). Hope you enjoyed your Veteran’s Day article! Just a reminder, today all active duty military, veterans, and military spouses can receive a free tall brewed coffee at Starbucks. Starbucks would like to thank all who serve our country, and the impact they make around the world. Go to Starbucks.com/careers/veterans for more information. 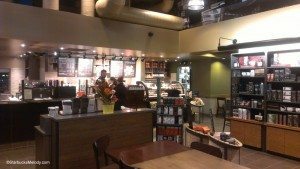 Related article on StarbucksMelody: Starbucks offering free tall coffee to military, veterans, and spouses. Starbucks Community Store Aprons: Cute with silver flair! 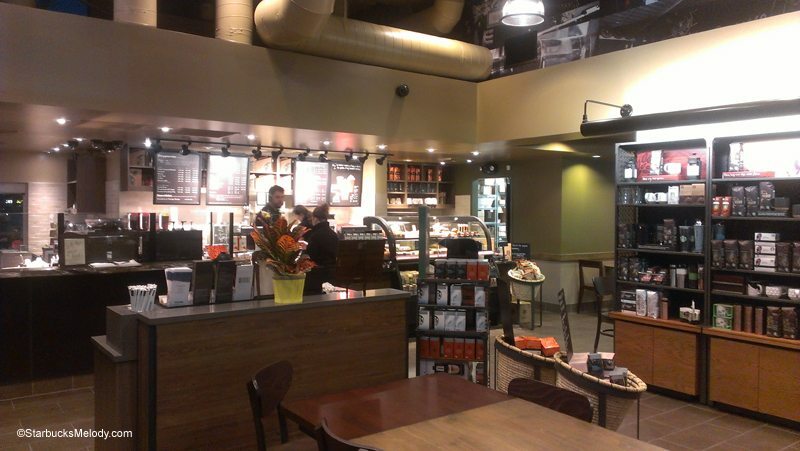 A Starbucks in a Desert: One of the Top 5 Busiest in the United States! No child sleeps outside: Starbucks Matches Your In-store Donation to Mary’s Place During December. Happy Veterans day and thank you to all that have served. What a beautiful store for sure. I truly wish that when stores remodel they offer the comfort and style of this store. Too bad there are not more community stores. @Purple1 – Thank you! The store design team to a great job on this store. And, I too want to say thank you to all who have served! Happy Veteran’s Day! This store is so beautiful. Thanks for another great blog post, Melody. That does look like a very nice store (I do like those big cushy chairs!). And thank you to all you veterans out there. I love the idea behind the community stores! I can’t wait to go back to San Antonio and visit this store!